I wanted to put in some nice under cabinet lights. However to buy off-the-shelf LED lights of sufficient brightness it would have cost about $500. Therefore I decided to go the DIY route and make some up myself. 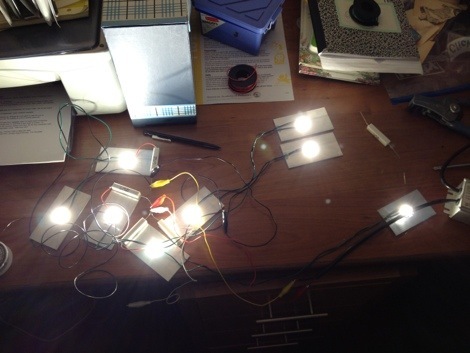 The LEDs were very inexpensive at about five dollars apiece and the only other thing it required was a $50 power supply and Aluminum strip as a heat sink. The LEDs are Bridgelux arrays and with a dimmable power aupply they go from bright to stupid bright. Finished the first base cabinet today. Its quite heavy due to its massive construction. The sides are 3/4″ ply with another 1/4″ of cherry ply on top. 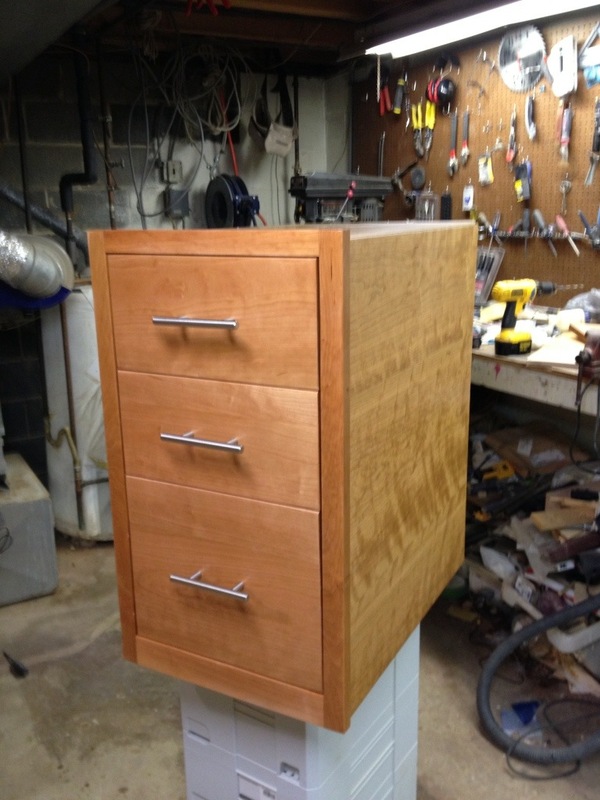 The drawers are full 3/4″ maple on full extension slides. I’ve put about four coats of polyurethane finish on the cases, leaving the insides of the drawers unfinished. After spending a month or so making up the carcasses for the cabinents, I wanted to hang them to make sure that they fit well and look good. 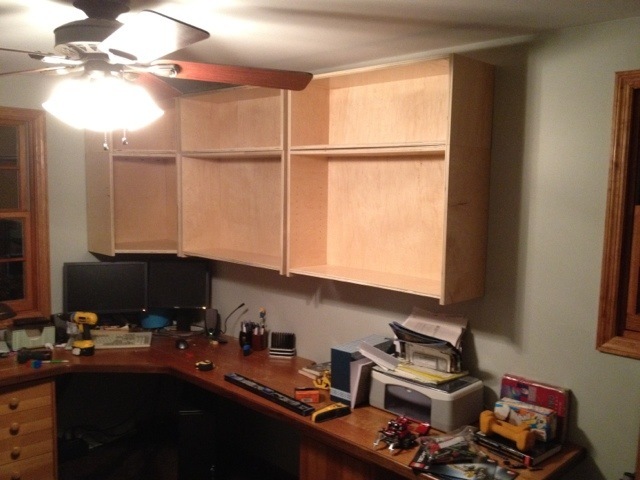 I used a french cleat to hang them, which makes it very easy, although it does take up about 3/4″ of cabinet depth. I used a laser level to make sure they were all hung properly, and then it was just a matter of carting them upstairs. I’m pretty happy with how they look, althouhh the carcasses are a little inconsistant in depth. Next up, face frames!